This bold and chic 7 sleeper self-catering beach apartment situated on the 7th floor comprises of 2 bedrooms, 2 bathrooms, open-plan lounge, dining and kitchen area. The main bedroom contains a luxurious, double bed and the second bedroom contains 2 single beds and lounge with 2 sofa beds, styled in beautiful modern Balinese themes. The lounge is equipped with a large flat screen TV (HD-Dstv), a fully fitted bar that has a disco effect at night, and leads out onto a large outdoor balcony. The kitchen is fully equipped for an enjoyable self-catering experience. The apartment is disabled friendly and accommodates guests needs with a dedicated disability bathroom. WI-FI is free to all our guests. •ALL UNIT RATES ARE INCLUSIVE OF 14% VAT AND ARE SUBJECT TO PERIODIC CHANGES. •A R400 ONCE OFF ADMINISTRATION FEE IS APPLICABLE FOR ALL RESERVATIONS. •SECURITY DEPOSIT OF R825 IS APPLICABLE TO ALL RESERVATIONS AND IS REFUNDABLE AFTER CHECKOUT PROVIDED THERE ARE NO DAMAGES TO THE APARTMENT STRUCTURE, CONTENTS OR BUILDING FACILITIES OF ANY NATURE. REFUND PROCESS TIME IS BETWEEN 4-7 DAYS. •NO BBQ / BRAAI TO BE HELD INSIDE THE FLAT OR ON BALCONY. PLEASE USE THE DEDICATED AREA LOCATED ON THE GROUND FLOOR, GARDEN AREA. BRAAI, WASHROOMS AND SEATING FACILITIES ARE PROVIDED FOR YOUR LEISURE. •STRICTLY NO SMOKING IN HOUSE OR ON THE BALCONY IS ALLOWED AND THIS ATTRACTS A R450 FINE. •NO PETS ALLOWED ON THE PREMISES OR IN THE APARTMENTS. •50% DEPOSIT OF TOTAL ACCOMODATION FEE IS PAYABLE WITHIN 24HRS AFTER PRELIMINARY RESERVATION, OTHERWISE THE RESERVATION WILL BE CANCELLED WITHOUT NOTICE. BALANCE OF ACCOMMODATION FEE IS PAYABLE 72 HRS PRIOR TO CHECK-IN. NON-PAYMENT ON THE FIRST DAY OF BOOKING IS A NO-SHOW AND APARTMENT WILL BE RE-MARKETED. DEPOSITS WILL ONLY BE REFUNDED IF WRITTEN NOTICE OF RESERVATION CANCELLATION IS RECEIVED 10 DAYS PRIOR TO ARRIVAL DATE. A 20% PENALTY WILL BE RETAINED IN ADDITION, ADMINISTRATION FEE OF R375 IS NON-REFUNDABLE IN THIS CASE. RESERVATIONS CONFIRMED ATTRACT A R200 CHANGE FEE WHEN DATES ARE MODIFIED. NO ALTERATIONS ALLOWED UPON ARRIVAL. •STRICTLY CHECK-IN AT 14.00HRS AND CHECK-OUT AT 10.00HRS. LATE CHECKOUTS WILL BE CHARGED FOR AT R200 PER HOUR IF DELAYED. •NO CHECK-IN ALLOWED AFTER 17.00 HRS. PLEASE INFORM THE ESTABLISHMENT AT THE TIME OF BOOKING SHOULD YOU NEED AN EXCEPTION TO CHECK -IN AT LATER TIME. •PENSIONERS GET A 10% DISCOUNT ON RESERVATION TOTAL. THIS CANNOT BE COMBINED WITH ANY OTHER PROMOTIONAL OFFERS. PENSIONER I.D MUST BE SUBMITTED PRIOR TO BOOKING. •ONE SECURE COVERED PARKING IS INCLUDED PER UNIT. PLEASE ADVISE US SHOULD YOU HAVE AN ADDITIONAL VEHICLE AND OR A TRAILER / CARAVAN (EXTRA CHARGES APPLY). UNLESS VEHICLES DO NOT DISPLAY ISSUED REGISTERED STICKER LABELS IT WILL NOT BE ALLOWED IN THE PREMISES. VEHICLES PARKED ILLEGALLY WILL BE CLAMPED AND FINED. •ELECTRONIC TAGS ARE PROVIDED FOR EASY ACCESS TO PARKING AND BUILDING DOORS. A SECURITY CODE WILL BE DISPLAYED AT RECEPTION FOR BEACH AND POOL GATE ACCESS. THE CODES CHANGE DAILY FOR ADDED GUEST SECURITY. •NO LOUD MUSIC ESPECIALLY AFTER HOURS AS COURTEOUSY TO FELLOW GUESTS. •HD DSTV INCLUDED, NO TAMPERING OR SWAPPING DSTV DECODERS AND SMART CARDS WITH PERSONAL ONES. PLEASE DO NOT DISPLACE WI-FI CONNECTIONS AND OR ANY ELECTRICAL FITTINGS. DECODERS ARE TAMPER PROOF AND PENALTIES APPLY FOR MISUSE OR DAMAGE. •HAND TOWELS, QUALITY DISH WASHING LIQUID, HAND LIQUID SOAP, TISSUE PAPER AND A DISH CLOTHE ARE PROVIDED. ANY MISUSE WILL BE BILLED FOR ACCORDINGLY. •KINDLY ENSURE APARTMENT KEYS ARE HANDED IN TO OUR CLEANER OR SECURELY STORED INTO OUR DIGITAL SAFE LOCATED AT RECEPTION UPON CHECKOUT FAILURE TO DO SO WILL RESULT IN A PENALTY CHARGE OF R500. SAFE LABELLED FLAT 78 - PIN CODE WILL BE PROVIDED. AND DOORS TO BE CLOSED BEFORE CHECK-OUT PLEASE. 24HRS IN ADVANCE BY INFORMING OUR SUPERVISOR ON DUTY MS MELANIE. FOR QUERIES RELATED TO THE UNIT Contact MELANIE. 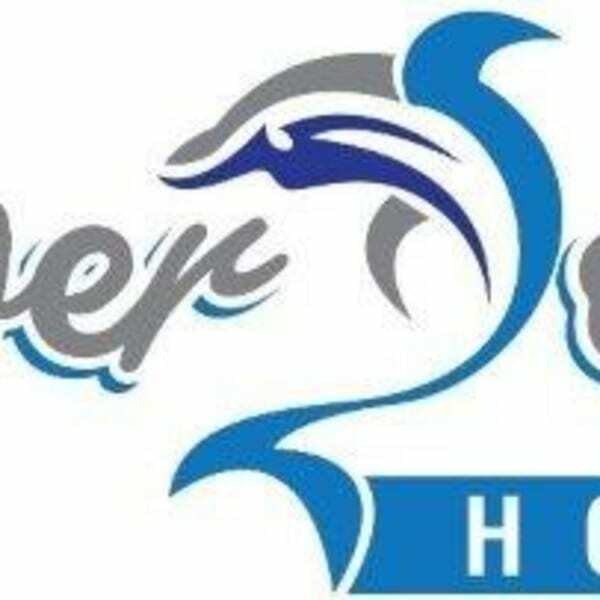 Conveniently, Silver Dolphin Holidays is located near the huge Amanzimtoti and Galleria shopping malls. Amanzimtoti shopping mall is a few minutes’ walk down the street. (turn left after exiting building) with Checkers store being an anchor tenant. Also, within walking distance there are various restaurants, coffee shops (Giselle’s 2 buildings away) bars and entertainment areas. Spur, KFC, DEBONAIRS and RJ’s restaurants are all within walking distance. Indulge in a variety of recreational activities nearby, such as bowling (based at Funland centre), fishing, whale watching, canoeing (end of the street near lake), scuba diving, surfing, ice skating, golf and horse riding. A must see are the local “Zulu” art and craft markets close by. Within a 25-minute drive there is Amanzimtoti bird sanctuary, Suncoast Casino, Crocworld and Ushaka Marine water parks. Splash water world is within a few minutes walking distance from Silver Dolphin Holidays (turn right after exiting building). A must to indulge is the famous Florida Road in Berea. This has an array of gay friendly bars and coffee shops. Club altitude, Rocca Bar and DDR. Wonderful atmosphere and great cuisine. Gay friendly club The Thirsty Whale is within walking distance from the complex. Interested in more accommodations around KwaMakhutha?